December 15-17 marks the climax of "Carol Week," where Charles Dickens' beloved humanistic novella, "A Christmas Carol", is featured in a number of presentations and adaptations. Carol Week traditionally concludes with The Big Read - a session where the entire text of Scrooge's journey of redemption are presented in a single session, live, by a talented cast of storytellers reading in relay style. This year, the Big Read will be presented in voice as well as on stream, so that the greatest number of residents can enjoy the holiday classic in Dickens Square on LEA 7. 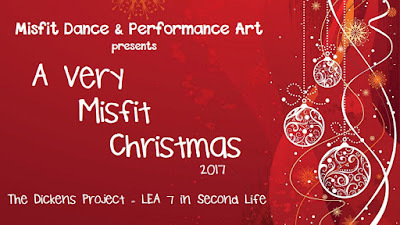 Along with Fezziwig's Ball, a pre-read performance by acoustic musician Wald Schridde, and two performances by Misfit Dance and Performance Art SL. All event times are slt. * FOR LARGE STAGE PERFORMANCES, please arrive early to grab a seat and let your cache load. Music will be playing for your enjoyment during these pre-show times. 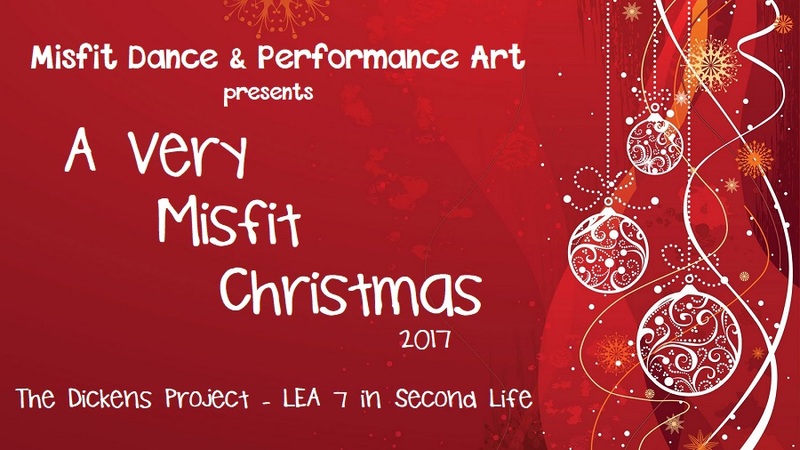 More information about remaining events on LEA 7, where The Dickens project will be open through December 30th, can be found at the region landing point, and on a special webpage.